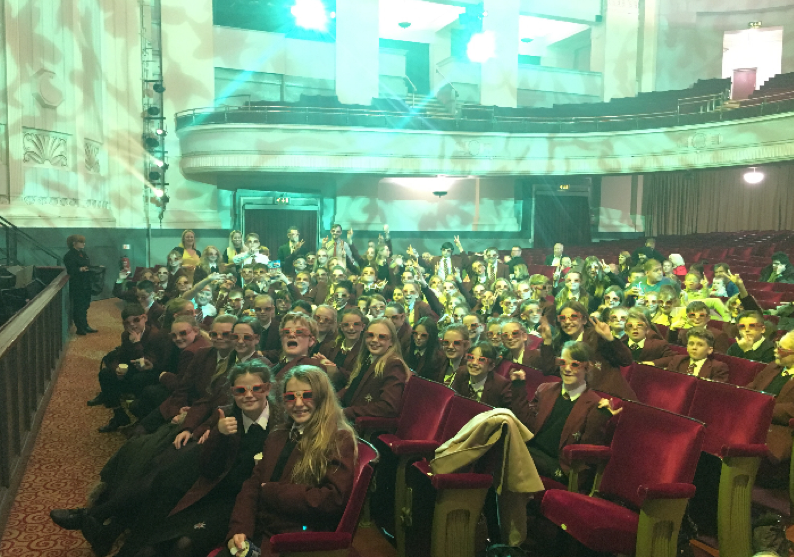 At the beginning of December, Y7s took a trip to the pantomime at the Pavilion in Bournemouth for what was sure to be a fun-filled afternoon. The pantomime we watched was Jack and the Beanstalk, a show my friends and I were very excited to see. For some of us, this was the first pantomime we had ever seen and an extremely good one too. It was also a great chance to meet new people and make new friends from the year group. The characters were all exceptionally entertaining and put their all into making an enjoyable performance for us. For me, the best character had to be Simple Simon because he was very funny and enthusiastic. I also liked the mum of Jack and Simon, as the costumes that the character wore were outrageous every time they appeared on stage.